BM, MA, Eastman; additional studies, Teachers College, Columbia University. Various professional memberships including 15-year term as treasurer of New York State Music Teachers Association. Recipient, NYSMTA 25th Anniversary Award for Outstanding Service (1986), NYSMTA Citation (1992), Jack L. Frank Award (1998) for outstanding leadership at Eastman, and Eisenhart Award (2002) for excellence in teaching at Eastman. Recipient of the University’s Hutchison Medal for distinguished public service (2010). Board of Trustees, St. Bernard’s Seminary (1978-81); Board of Trustees, St. Bernard’s Institute (1981-83). Board member, Young Audiences of Rochester (1982-83) and Rochester Philharmonic Youth Orchestra (1996-2000). Coordinator of Eastman Piano Teachers Workshops for ten years. Lectures for various piano teacher groups, including appearances for NYSMTA and Music Teachers National Association. Research, lectures, publications on Rochester’s musical history. Research, lectures, publications on church music topics including articles in journals such as Sacred Music, Pastoral Music, The American Organist, The Hymn, Studia Liturgica, and Worship. 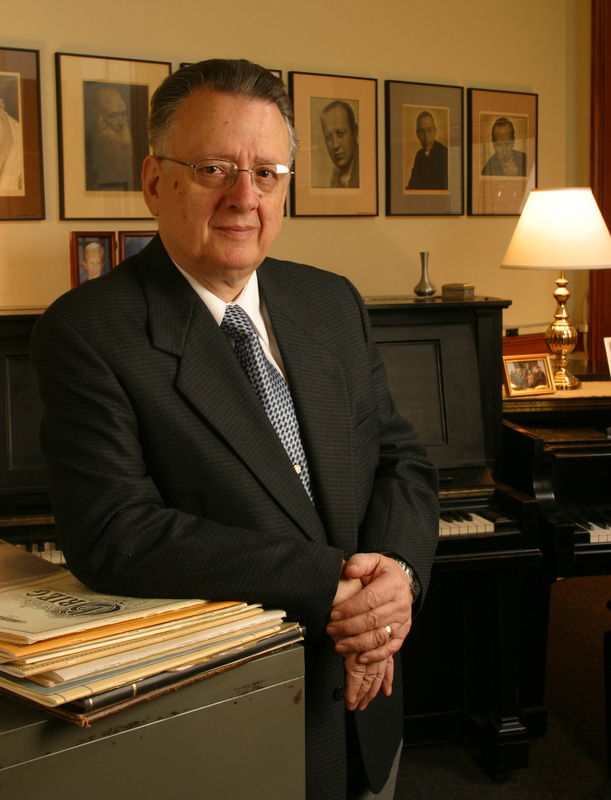 Author of For the Enrichment of Community Life: George Eastman and the Founding of the Eastman School of Music (2004) and Serving A Great and Noble Art: Howard Hanson and the Eastman School of Music (2009). Director of Eastman’s Community Education Division (1970-96), Senior Advisor to the Director on Liturgical Music (1996-2000), Administrator of the Piano Department (1998-2001). Faculty member, Eastman (1963-).